Cally is home for the weekend and asked me to make her some Rice Krispie Treats. 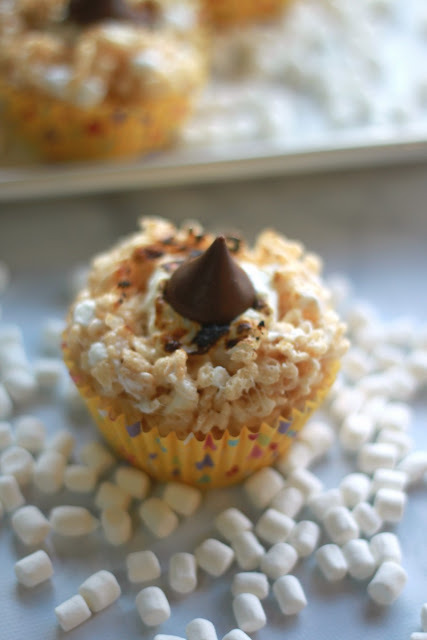 As I was pulling the ingredients out of the pantry and I saw the Hershey Candy Bars and it dawned on me that a S'mores Rice Krispie Treat sounded like a good idea...that is how these were born lol. In a large pan melt the butter, once melted add in the 10 ounces of small marshmallows, continue to stir until the marshmallows are completely melted. 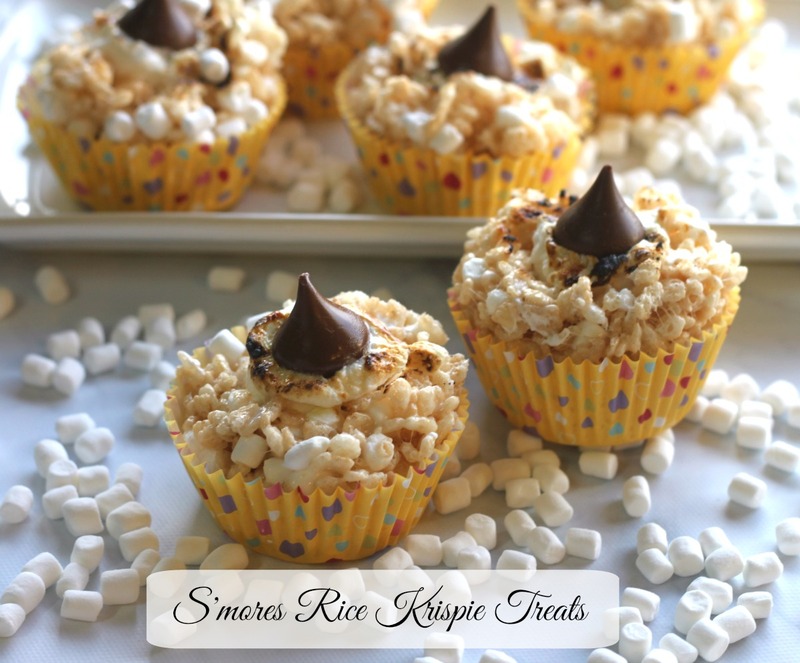 Take marshmallow mixture off the stove and stir in the rice kripies. If you have tiny marshmallows then you also stir them in at this time. I used an ice cream scoop and put scoops of the rice krispie treat mixture into the cupcake pan that is lined with cupcake papers. Make a hole in the center of each cup and place half of a large marshmallow. I used my kitchen torch and burnt the top of the large marshmallow. After is was as brown as I wanted I then pressed a Hershey Kiss on top of each treat... enjoy!